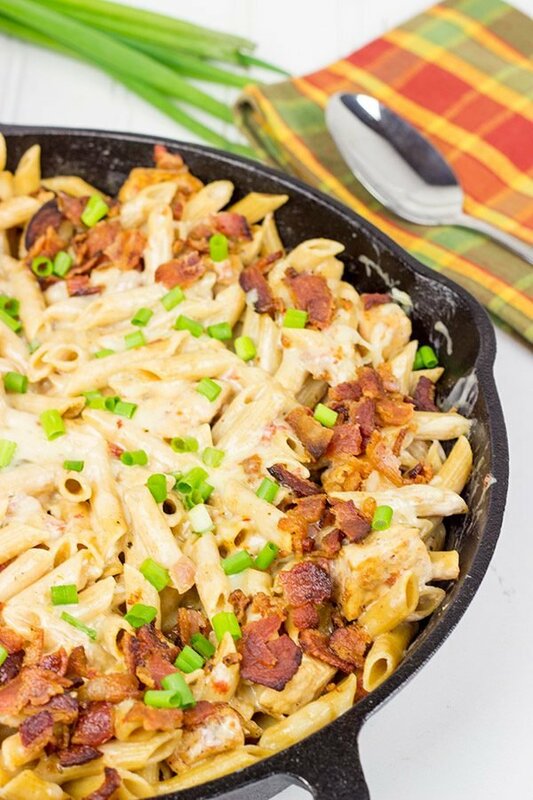 This Chicken Bacon Ranch Pasta is one heck of an epic 1-pot weeknight meal! Do you guys ever have those nights where you just don’t know what to make for dinner? We’re lucky enough that we typically have some sort of leftovers hanging out in our fridge. (And we’ve become experts at turning leftovers into tacos. 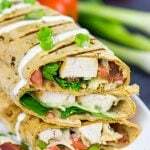 Anything can be put into tacos!) So the other night, I was at a complete loss for dinner. We didn’t have any leftovers, and I had been baking up desserts like crazy. As tempting as it might be to eat Lemon Coconut Cake for dinner, I do have some limits when it comes to dessert. So I opened the fridge to see what I could cobble together for dinner. I had a couple of chicken breasts hanging out in the freezer, so I figured I could start there. I grabbed a box of pasta off the shelf. (My wife is part-Italian, so we always have a supply of pasta in our pantry.) I also found a half pound of bacon left over from a previous recipe. Ok, so my dish was coming together. 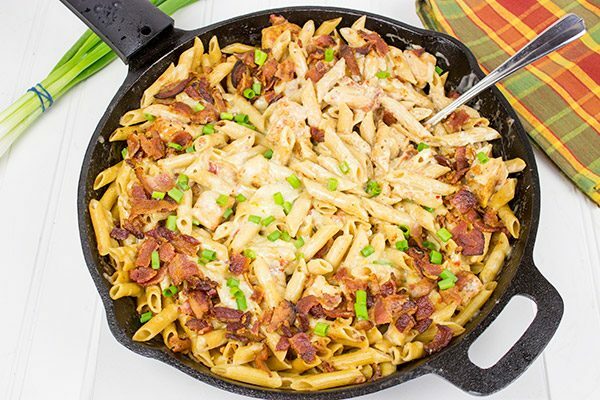 Chicken Bacon Pasta. Wait, that sounds like Chicken Bacon Ranch…which just so happens to be one of my favorite pizzas from our local pizza shop. I did have some ranch dressing in the fridge, but the thought of dumping ranch dressing into a skillet of pasta just didn’t sound so hot. But then it hit me. Ranch seasoning. Please tell me I had a packet of ranch seasoning left…and I did! I mixed that packet with milk and let it simmer in the pan for a bit. The result was this Chicken Bacon Ranch Pasta. Given that I had no idea what to make for dinner, I was pretty darned pleased with how this turned out! In fact, I think this may become a go-to weeknight meal for those nights when we don’t know what to cook. I’ve mentioned before how we often head out to trivia at a local brewery on Thursday nights. 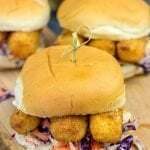 Trivia starts at 6:30, so quick and easy dinners are a must on those nights. It just so happened that I made this Chicken Bacon Ranch Pasta on a Thursday evening. I didn’t have time to be doing loads of dishes. I mean I had trivia questions to answer! (Ok, maybe try to answer is more accurate. Ok, maybe try to answer and miss completely is even more accurate.) 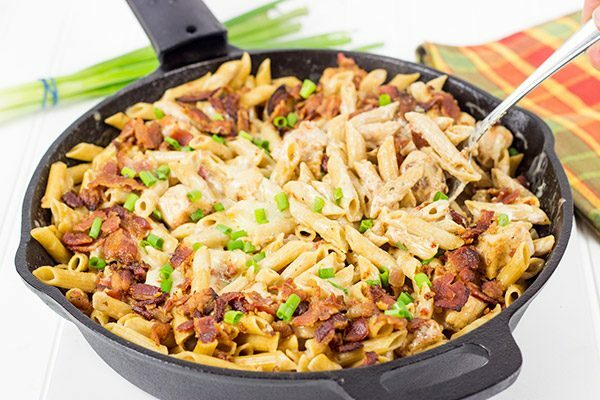 This Chicken Bacon Ranch Pasta is cooked entirely in one skillet, and it’s one heck of an epic weeknight meal. For the record, we made it to trivia on time that night…and we finished in 2nd place. The tie-breaker question was in what year did 3 members of Lynyrd Skynyrd die in a plane crash? We guessed 1974. The correct answer was 1977. Cook pasta according to the package directions. Once cooked, rinse pasta in a colander and set aside. Meanwhile, place a large cast iron skillet over medium heat. Add bacon and cook until crispy. Remove bacon and pat dry with paper towels. Drain most of the bacon grease from the pan, but leave about 1 tablespoon of grease in the pan. Add garlic, onion and diced chicken to the skillet. Cook over medium-high heat, stirring occasionally, until chicken is fully cooked (~9-10 minutes). In a small bowl, whisk together the ranch dressing mix and milk. Add milk and diced tomatoes to the skillet; stir until well combined. Continue cooking over medium heat, stirring occasionally, until mixture has reduced in volume and thickened noticeably (~18-20 minutes). Add the cooked pasta, sour cream, pepper jack cheese and bacon; stir until cheese has fully melted. Garnish with sliced green onions before serving (optional). 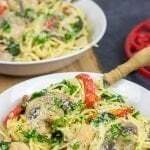 If you love this chicken bacon ranch pasta too, let me know in the comments! I’m really excited for you guys to try it, I think you will love it. It’s a family favorite at our house. I love playing Trivia! such a fun game! You were not that far when guessing!!! This dish looks completely as something I would devour! my kids as well! great left-overs turn around David! Yeah, we weren’t far off with our guess for that trivia question…but the other team knew it right away. In like 2.3 seconds they had their answer down. Nerds! Thanks, Gaila! I love playing Trivia, I know it’s kind of nerdy and uncool but it’s soooo much fun. I also love all things Chicken Bacon so this pasta is obviously on my list. I also love that it’s entirely cooked in one skillet. Way to go man! I love cooking with cast iron and bacon ~~~ this is yummy! I totally agree, Phronsie! Cast iron + bacon = delicious!! 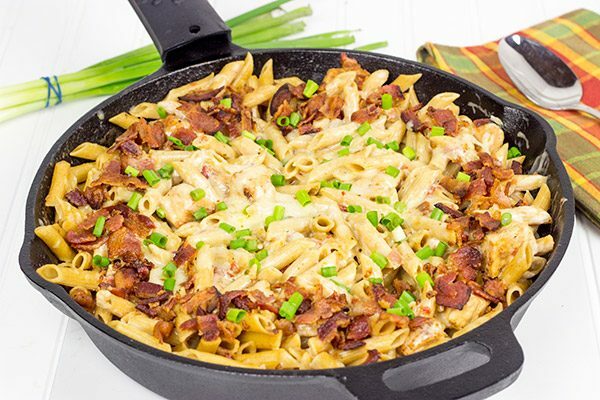 This pasta looks to die for- anything in a skillet is just the best! Hey congrats on 2nd place! I love trivia – but I so sook at it – which is part of the fun – at least to those around me! I don’t have pasta hanging in my pantry – but I do always have bacon – so chicken bacon ranch this might have to be! Oh and what’s so wrong with having Lemon Coconut Cake for dinner? You’ve got your fruit (lemon) and the coconut has your fruit, nut, and seed bases covered! 🙂 Happy Monday David! Hey, you know what they say, Shashi. 2 is not the winner and 3 nobody remembers. The goal is to win trivia!! 🙂 And I’m totally ok if you have to leave pasta out of this one…or maybe make a beet pasta! You’re pretty darned skilled at beetifying things! Hi David! You have hit the mark again! You know me and bacon! PS this took two pans – one to cook pasta and another to bring the dish together 🙂 Just raggin on you! Sweet Home Alabama this pasta looks delicious! I’m all for an epic one pot weeknight meal and LOVE trivia. 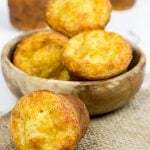 Thanks for tossing some in here with this super creative recipe! Yum! I love one pot dishes and bacon on anything just makes it totally perfect! Haha…hey! 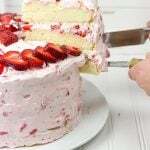 I wish I had more pasta and a slice of cake right now, too. Hmmm…maybe we can make that happen for dinner tonight? 🙂 Thanks, Bianca!! Mate, this meal completely came together with perfect timing although who has leftover bacon? geeze! I LOVE trivia…in Australia. I played it here in Brooklyn and knew nothing. NOTHING. I guessed ’77 for Lynard Skynard for the win! I remember going to my local record shop ( yes WAY back then) and remember their new album had just been released and the cover had flames on it. I remember hearing on the radio of the crash and then the subsequent recall of the album due to its ill timed cover. For anyone who bought it prior, its quite the collectors item. Now as for this creation, it is perfection and I’d take two bowls please. Awesome combo of flavors! This looks really good. 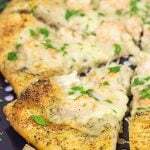 I’ll probably have to add a little more chicken for my boys, but I’ll definitely be trying this recipe. Thank you so much, Erlene! 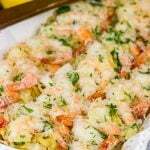 This is definitely a fun recipe…and great for a weeknight! This really looks great! I’ve got a lot of running around to do today and this will be a perfect! thanks for all the great recipes you post!! I’m going to “fudge a little” though. I think I’ll drain some Ro-Tel Original and mix it half and half with the plain tomatoes or maybe a smidge of jalapeno with the onion…I really enjoy your food blog! Your hard work and love of food and sharing truly shines!! Wow, thank you so much, Margo! Your comment really made my morning. 🙂 This is a fun (and tasty!) recipe, and I hope you enjoy it as much as we do. And I totally support your “fudge a little” tweaks to this one. And now I want pasta for dinner tonight…haha! Thanks again, and I really appreciate your support!